The element of water – cleansing, soothing and restorative – is the focal point of this tropical modern inspired landscape on Westlake Island. 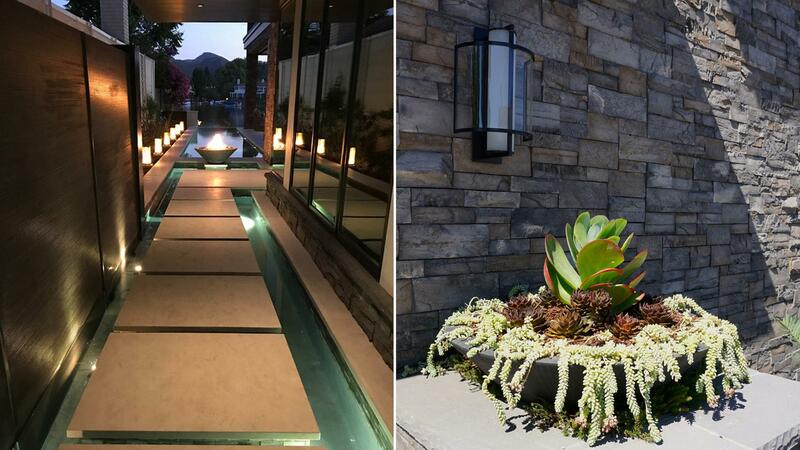 From the moment of entry through the gate, the view comprises of serene and carefully crafted water features as well as the naturally beautiful lakefront beyond. 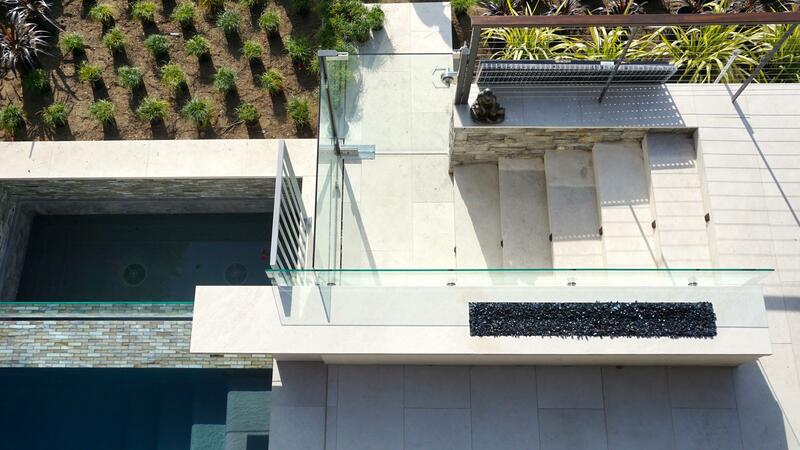 A ‘floating’ walkway leads past a glassy piano room to the front foyer. 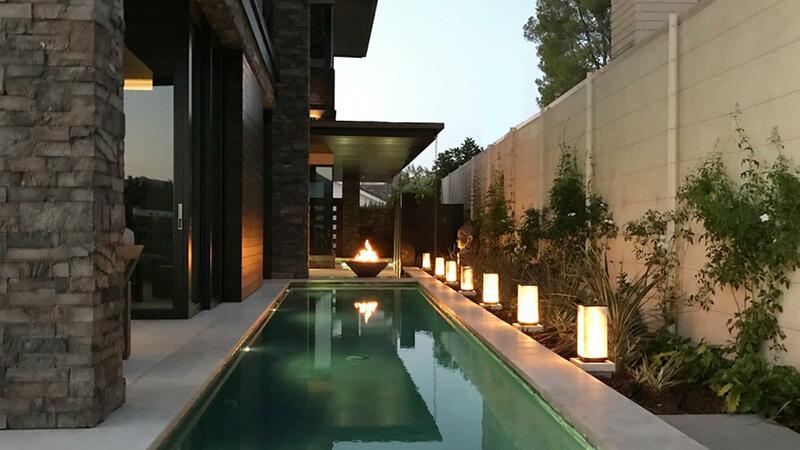 From this space we find harmony with another element – fire – viewing the infinity pool area with fire bowl and fire pit, and custom lanterns which evoke warmth with their welcoming glow. A series of terraces lead to a private boat dock on lake (name?). Sunsets across the lake, with a backdrop of the Santa Monica Mountain range, are a sight to behold. Whether relaxing or socializing on the sun and entertainment decks, lounging in the infinity pool, or enjoying water level on the dock, the view can be transformative any time of day. “We started with just a vision when we first met with John and Serena. After a few wonderful meetings and discussion, they developed a beautiful plan that met our expectations. 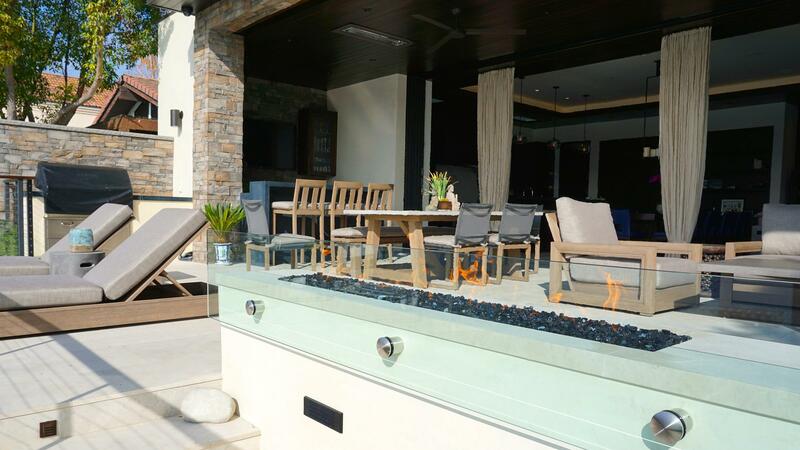 One of the key components to building our new home was to have the “indoor-outdoor” living experience. This is why their plan was so important to us. Every aspect of the design correlated with the warmth and beauty to the overall plan. Our outdoors setting absolutely completes our home.